We challenge you: Break the rules! Climb the forbidden Stairway to Heaven! The point of this article is not to encourage you to break the law but to show you there are beautiful places out there where visitors are not allowed (which is more or less the same). We have heard stories about fascinating off-limits spots around the world. Destinations like Snake Island (Ihla da Queimada Grande, Brazil) with a population of at least one snake per square meter, or North Sentinel Island (where 400 Sentinelese people still keep their isolation from the modern world) should remain banned. However, there are other places that sooner or later should be opened to the public. My story happened on a late summer day. A day my friends and I went on a hike. Nothing extraordinary so far, right? That day turned out to be one of the most exciting in my life. The recap: A group of friends and I were taking a break from work in Hawaii. We were mastering the Italian ‘dolce far niente’ – the sweetness of doing nothing. Besides swimming, surfing and lying on a beach, we hadn’t engaged in any other island activity. The trip was towards its end. We were brainstorming ideas of what to do on our last day when all of a sudden a friend casually asked ‘Have you heard of the stairs?’. 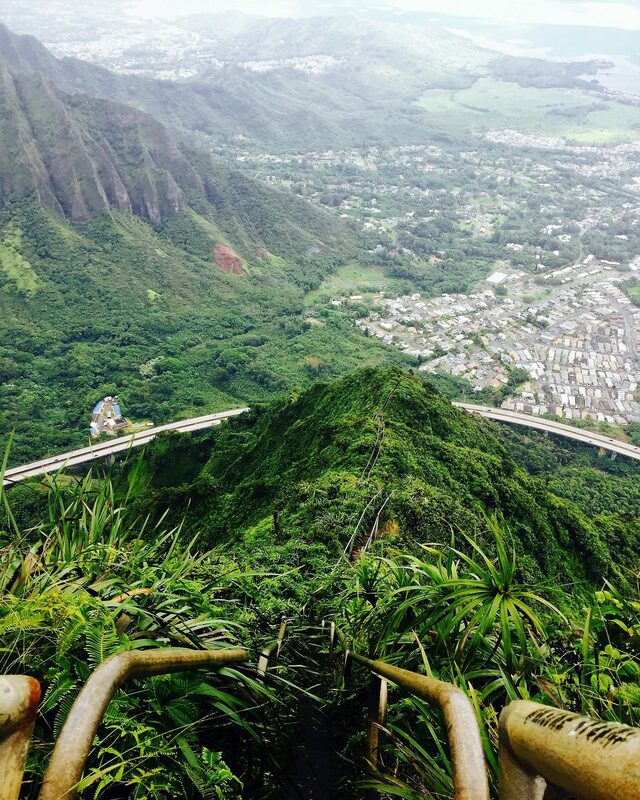 The Haiku Stairs (Haʻikū) is a steep hiking trail overlooking the Valley of Haiku in the Kaneohe area of Oahu, Hawaii. It’s a steel staircase made up of 4000 steps built back in the 1940s. Its purpose was to help the military access a radio station based on top of the ridge during World War II. Rumor has it that the station could communicate with submarines located as far as Tokyo. It also had the status of a top secret facility. 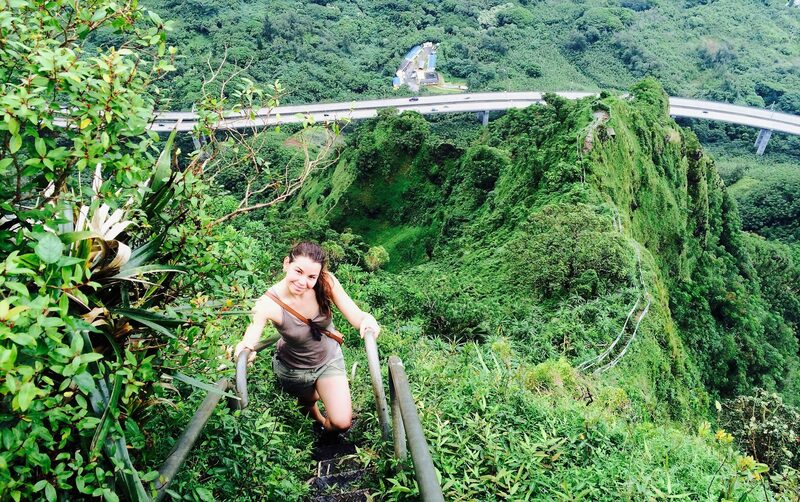 Haiku Stairs are not the most difficult hike you can take on the island. Getting there is a piece of cake – take interstate H3 towards Windward Coast Kailua, exit at Haiku neighborhood and drive all the way up until you reach the last houses. Going up is not as easy. Still, it turned out to be the coolest, most thrilling and beautiful hike I have done in my life! 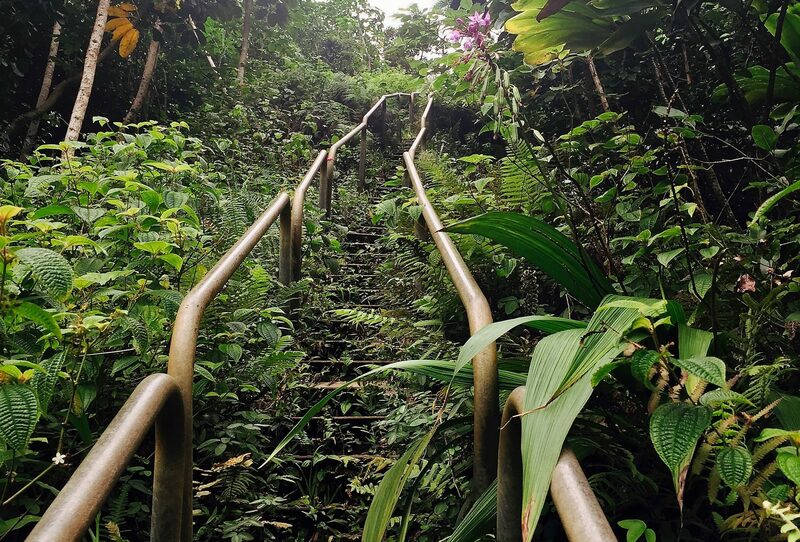 You have probably heard people refer to it as Stairway to Heaven simply because the adrenaline and the views from the top are amazing! But why was it such an extreme and thrilling experience? The staircase is quite steep and could get slippery when wet, but that’s not all. The main thrill comes from the fact that it has been closed to the public for the past 30 years. It grew as a popular hiking trail in the early 1980s until the government saw it as too dangerous and closed it down in 1987. It has been illegal ever since. Even though against the law, hikers, locals, and foreigners ignore the signs “no trespassing” and climb the stairs. Sometimes dozens a day! That is why in 2013 a security guard was stationed at the base of the trail. Since 2013 it has become more and more difficult to access the stairs. Yet people don’t give up. They would start as early as 2 am to arrive there before the guard and enjoy the break of dawn and the sunrise views from the top. In my case, we waited for the sunlight and then headed to the trail. 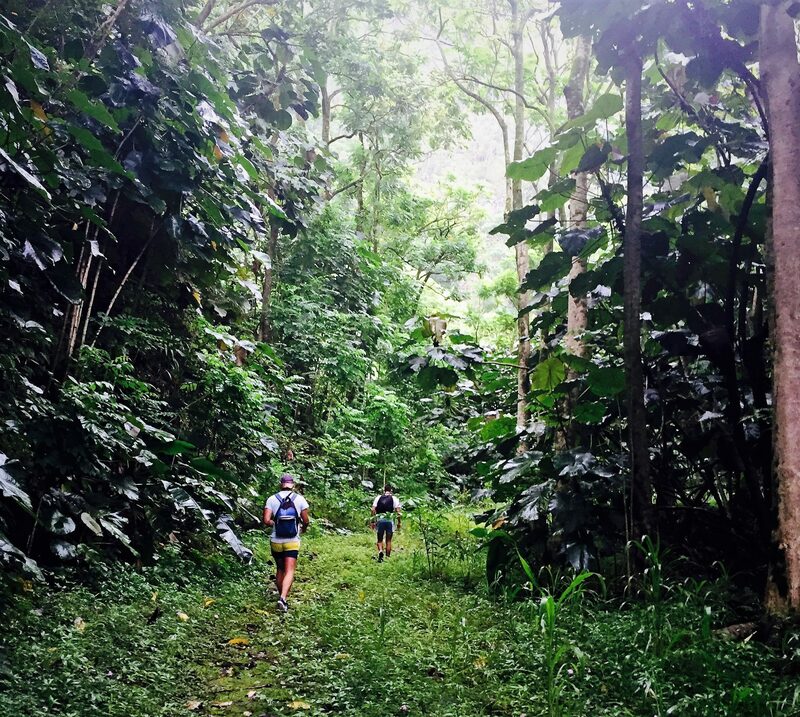 I recommend arriving around 8-9 am to allow yourself time to find the trail that goes around the guard through the rainforest. Basically, the stairs are a series of ladders bolted together. Once you set foot on them, hold tight on the side rails. The first section of stairs is very steep. If you have a fear of heights – don’t even think about it. Otherwise, you should prepare for a good cardio workout. There are a couple of platforms on the way where you can catch your breath. Higher up, the trail rises above the clouds. It could get foggy, misty and quite humid, so keep your hands on the rails and your eyes on your feet. You’ll have plenty of time to admire the view. My friends and I hurried up in order to have more time to admire the view at the top. We made it back in about 2 hours. During the hike, we got all sweaty and wet from the intensive workout and the quick forest showers drizzling over the top. Therefore, I recommend wearing light clothes in natural colors which fade with the forest – green, brown, beige. On the way up my heart didn’t stop racing. The adrenaline of doing something illegal kicked in. The words going on and on in my mind were ‘incredible’, ‘amazing’, ‘unreal’. The thought that the stairs are right in front of you and yet forbidden, is so tempting. I wouldn’t judge anybody who tried or who is about to head over there after reading this. You should definitely be careful, know your abilities and limits, and realize that you’re doing it at your own risk. At the top, it’s all worth it.